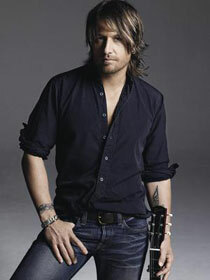 It's no secret that Keith Urban is a musical encyclopedia. During any given concert, you might find him pulling out Steve Forbert's 1979 hit, "Romeo's Tune," Tom Petty's "Freefallin'," or Third Day's "Call My Name." So it was no surprise when Keith spontaneously called opening acts Dierks Bentley and Jason Aldean onstage at two separate tour stops in Kansas and Virginia to help him cover The Eagles classic, "Take It To the Limit." Acting quickly to prepare, Dierks scrawled the lyrics to the song on his arm, while Aldean used gaffe tape to attach the lyrics to his mic stand.